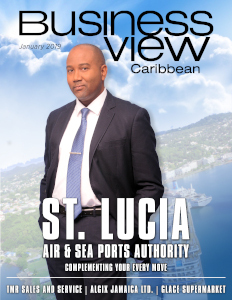 Business View Caribbean interviews John T. Smith, CEO of Turks & Caicos Islands Airports Authority for our focus on Caribbean Air and Sea Ports. As professed in its mission statement, the Turks and Caicos Airports Authority is dedicated to providing the highest standard in safety, quality, and service in airport operations, as a means of enhancing the reputation of the Islands and improving the national economy for the benefit of both the government and the people of the Turks and Caicos Islands. In a recent conversation with John T. Smith, CEO of Turks & Caicos Islands Airports Authority, Business View Caribbean learned of the many recent achievements and future goals of the Airports Authority, as it seeks to expand and enhance airport services and the status of the Turks and Caicos Islands as an international and regional tourist destination. The following is an edited transcript of that discussion. 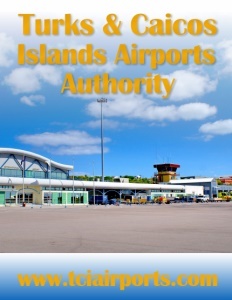 BVC: What is the primary role of the Turks & Caicos Islands Airports Authority? 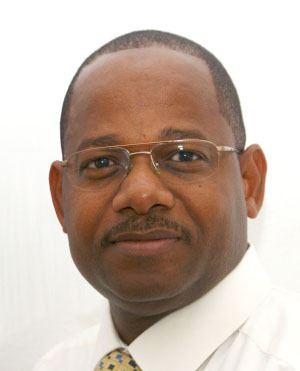 Smith: “The Airports Authority is responsible for all government aerodromes within the Turks and Caicos Islands. 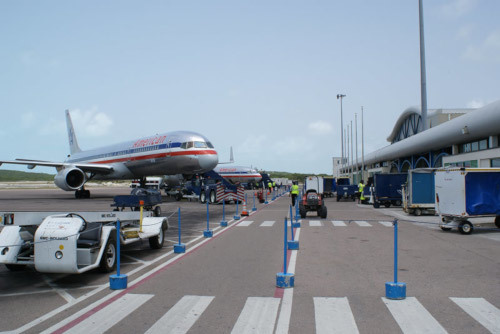 Providenciales International Airport, known as the gateway, is where 80 percent of our traffic comes through. Salt Cay Airport has very seasonal traffic (Salt Cay is a small island known for whale watching). South Caicos Airport recently did rehabilitation work. Phase one, the control tower; phase two, full rehab of the runway; and we’re embarking on phase three, which includes construction of a terminal building, and a combined services building with a firehall and an engineering section. BVC: What significant milestones has the Turks & Caicos Islands Airports Authority achieved in the last few years? Smith: “The first significant milestone we achieved during the period I’ve been here (since 2007) is to develop the gateway airport of Providenciales International with a team of local individuals. To me that was very important. The entire executive team are local persons who have had the opportunity to be a part of, and make a significant contribution to, the airport’s development. From a financial point of view, we were able to successfully turn Providenciales International around from a loss-making entity in 2007 – basically, losing over $3 million per year – to a position where we now generate some $37 million per year. On the air side, the runway was completely rehabilitated and extended from 7,600 feet to 9,200 feet – as a result, we have the critical Boeing 777 British Airways aircraft operating into the territory. “Another thing we’re proud of is a substantial increase in passenger numbers. Working in collaboration with the Turks and Caicos Hotel and Tourism Association and the Turks and Caicos Tourist Board in our quest and success in attracting new carriers and new routes, such as Southwest, Jet Blue, and United, we’ve moved from having low connectivity to a much broader-based connectivity. We have flights coming in from New York (JFK and Newark), Miami, Charlotte, NC, and Dallas, as well as the opening of a direct flight into the Eastern Caribbean – British Airways now operates a 777 twice weekly on Sunday and Thursday into Antigua. That was significant because, until then, we had no direct flights into that region. And we have another start up of a new route – an American Airlines direct flight from Chicago. 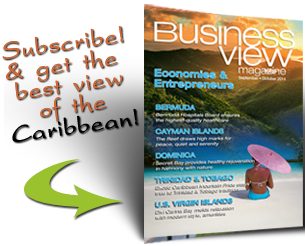 BVC: How is the Turks & Caicos Islands Airports Authority governed, and do you have the freedom to make decisions? Smith: “In the strictest business sense, we are a subsidiary of government, in that the Airports Authority is a statutory body corporation that is owned by the TCI Government. We have a Board that we report to and the Board is then responsible for ensuring the Airports Authority operates in the best interests of all. We have regular internal audits, plus an annual external audit that we publish on our website. It’s always in the public domain. In addition, there are various aspects of the Public Service that the government may, from time to time, impose on the Airports Authority to follow. Bringing in investments is also part of our role. We are free to engage in financing (we negotiated a $70 million loan that is almost paid off), although it does need the blessing of the government, which is the parent company, so to speak. 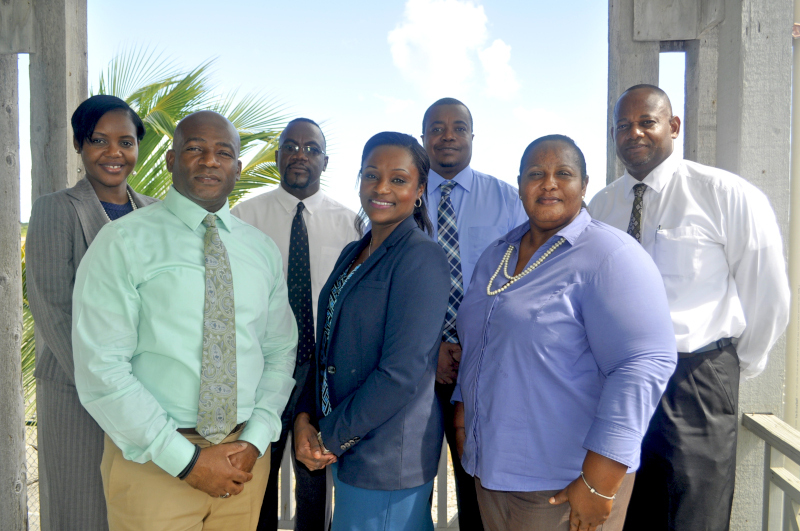 BVC: What are the biggest challenges for the Turks & Caicos Islands Airports Authority? Smith: “At times, procurement is one of the biggest challenges. We are an island country – everything is imported – and trying to get equipment here in a timely manner can be difficult. The other challenge we have is with our vehicles, mainly the fire engines, which are very costly. Operating in a salt environment, the rate of deterioration is much higher than elsewhere, and the replacement period is much shorter. That puts a challenge on the Authority because most of that equipment is laden with sensors. When you have a bit of corrosion, the equipment and vehicles start to have problems. We don’t yet have the depth of experience or certain technology skills within the island, so we have to find someone or bring someone in to solve the issues. To mitigate that, we’ve embarked on a comprehensive training program, although, that doesn’t make up for lack of experience on the equipment. BVC: What would you say are the best attributes and accomplishments of the Turks & Caicos Islands Airports Authority? Smith: “It’s all about recovery, and that starts with our wonderful local staff; the turnaround from losing $3 million a year to generating revenues of $37 million; the focus on infrastructure development in the five aerodromes the Authority is responsible for; and working with Tourism partners, we were able to increase passenger numbers from 20,000 per month in 2007, to averaging 42,000 per month, at present. In 2007, there was a two or three month off-season trough period. Today, we don’t really have an off-season.